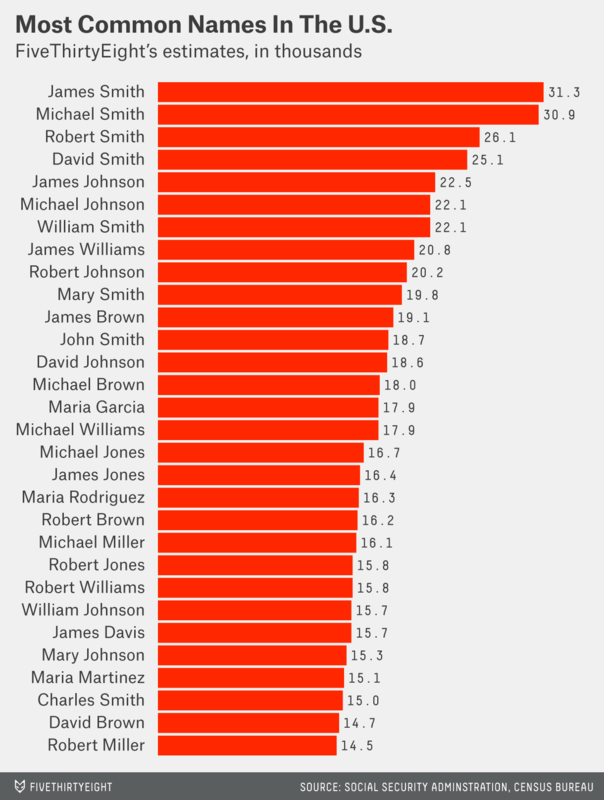 More Evidence James Smith Is The Most Common Name In The U.S.
Last week, my colleague Mona Chalabi and I tried to find the most common name in the United States. According to our estimate, it’s James Smith. There was a considerable amount of uncertainty in that estimate, but after the article ran, we heard from Tom Bonier, the CEO of targetsmart (and formerly of Clarity Campaign Labs). Targetsmart collects data on registered voters and customers, and says it has about 230 million names in its database. It checked our analysis. Not only was James Smith the most common name in the targetsmart database, but — just as in our estimates — it was followed by Michael Smith and Robert Smith. But the targetsmart list differs from ours in a big way; it has many more Hispanic names. In particular, it found Maria Garcia to be the sixth most common name, whereas we estimated it to be 15th. In our piece, we went to great lengths to correct for the undercounting of Hispanic individuals in data from the Social Security Administration and Census Bureau. But targetsmart’s data confirms how hard it is to correct for this problem. So, this is imperfect data confirming imperfect data. 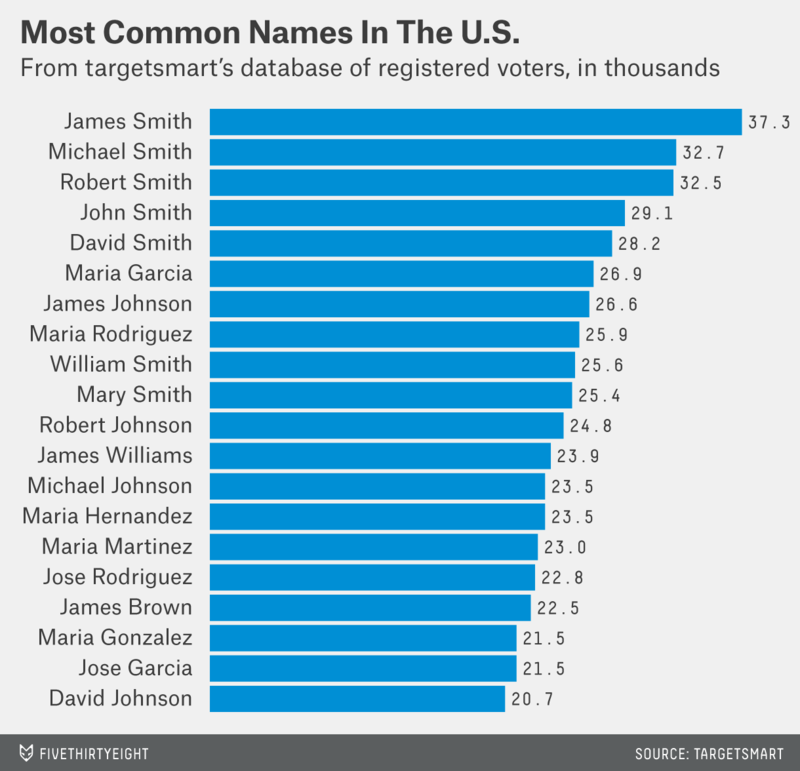 Even so, we are now more sure we know at least one thing: James Smith seems to be the most common name in the country. CORRECTION (Nov. 24, 5:17 p.m.): A previous version of this article incorrectly characterized the targetsmart database. Targetsmart originally stated that the database comprised 150 million registered voters, but then clarified that it is composed of 230 million registered voters and customers.